Hey guys, it’s been awhile since we had a giveaway, and we are making this one big. 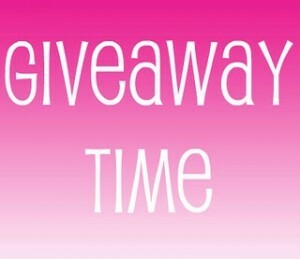 The giveaway will last between 2-6-2013 to 2-13-2013. Do you love your iPhone but hate the limited Messages app? Frustrated with missing basic functions that are available on most other cell phones? iRealSMS 3.0 fills the gap with Folders Inbox, Outbox, Sent, Drafts, Templates, Forwarding, Searching, etc., and then comes with features such as QuickReply, QuickSend, Contact Pics, Smileys, Forward via Mail, Privacy Settings, Sent-Notifications, Password Lock, Character Counter & much more! Use it as a FULL Messages app replacement or just take advantage of the QuickReply & QuickSend. Do you love your iPhone/iPod/iPad but hate iTunes? Frustrated with iDevices synching only with ONE iTunes Library? Do you want to access your iTunes Music from any PC? Here is the solution: PwnTunes! And all this is as easy as plugging the USB cable into ANY PC – no extra Software required. Want to Manage your Photos? Do you take a lot of photos with your iPhone/iPod but hate that you cannot manage them? Frustrated with the Photos app missing options to add and delete albums and move photos between them? You need some privacy on your personal photos and you want some easy to use password protection for albums? You don’t understand why there is no way to MOVE photos on iOS 5 instead of stupidly copying them?